Zooey Deschanel is the queen of quirky, but has this indie “it” girl made some major changes to become an even bigger star, we think so! In comparison of the below pictures Zooey’s nose makes the slightest of changes, but just enough for us to determine that she has in fact had some sort of rhinoplasty procedure done. 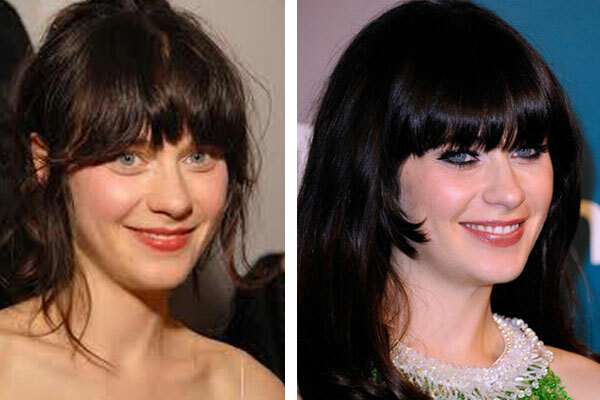 As with most starlets, Zooey’s rhinoplasty keep the original shape in tact, though refined the tip and brought it up a tad to give her a more youthful appearance. Some websites have gone sar far as to speculate that the New Girl has been fooling around with facial fillers and botox as well, but we disagree. So what’s your take on Zooey’s face? Natural or not? Could it just be makeup and lighting or is this the result of something a little more permanent?